Ronan Farrow — whose Pulitzer Prize winning reportage on Harvey Weinstein helped make him one of the most prominent journalists on sexual misconduct in America — has learned new details about a harassment allegation against Supreme Court Justice nominee Brett Kavanaugh. Farrow, reporting for the New Yorker with colleague Jane Mayer, published a piece Friday which detailed the allegation made in a letter to Sen. Dianne Feinstein (D-CA). 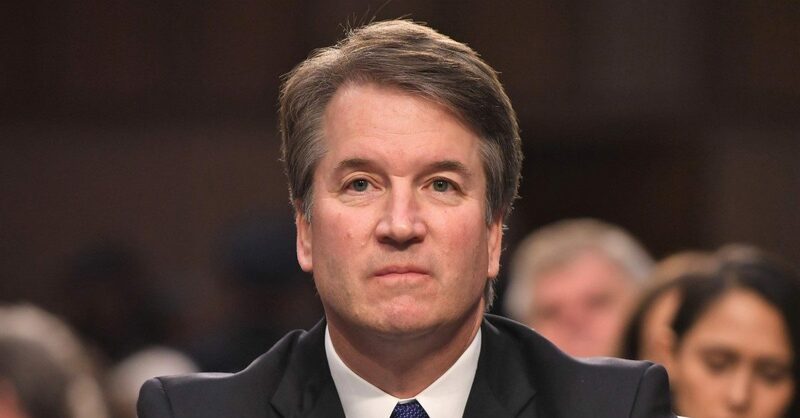 According to the report, Kavanaugh, while he was in high school, allegedly grabbed a woman and tried to force himself on her. In the letter, the woman alleged that, during an encounter at a party, Kavanaugh held her down, and that he attempted to force himself on her. She claimed in the letter that Kavanaugh and a classmate of his, both of whom had been drinking, turned up music that was playing in the room to conceal the sound of her protests, and that Kavanaugh covered her mouth with his hand. She was able to free herself. The classmate told the New Yorker, “I have no recollection of that.” The woman who made the allegation declined an interview with the New Yorker.